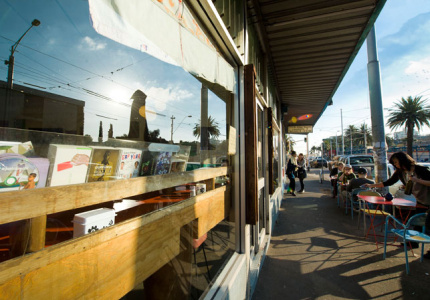 This Albert Park cafe is the perfect place to relax and watch the world go by. 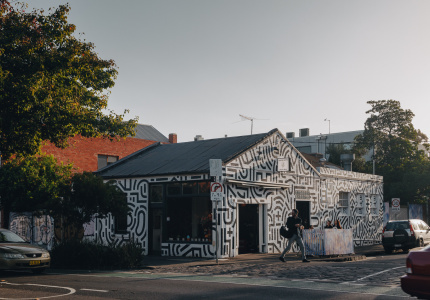 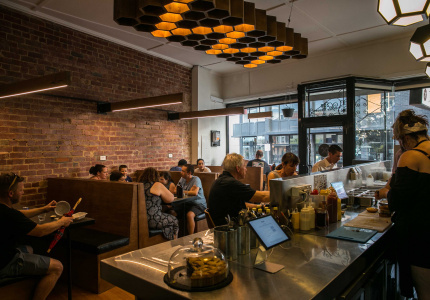 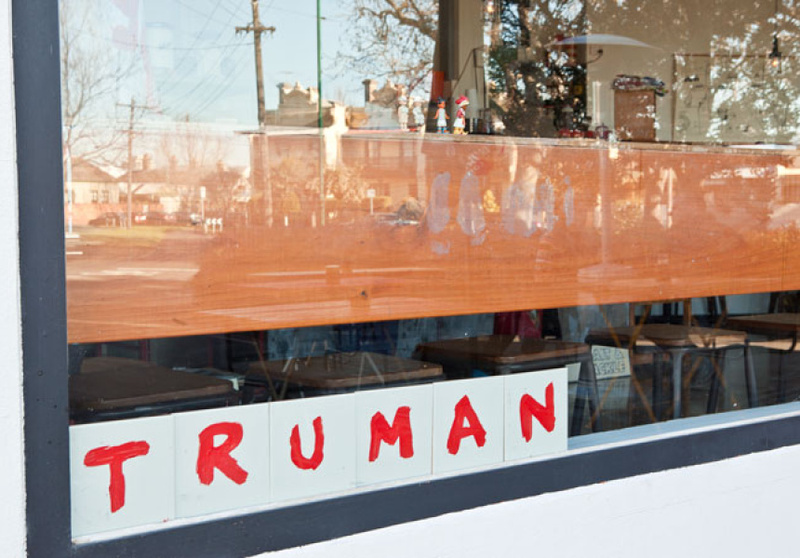 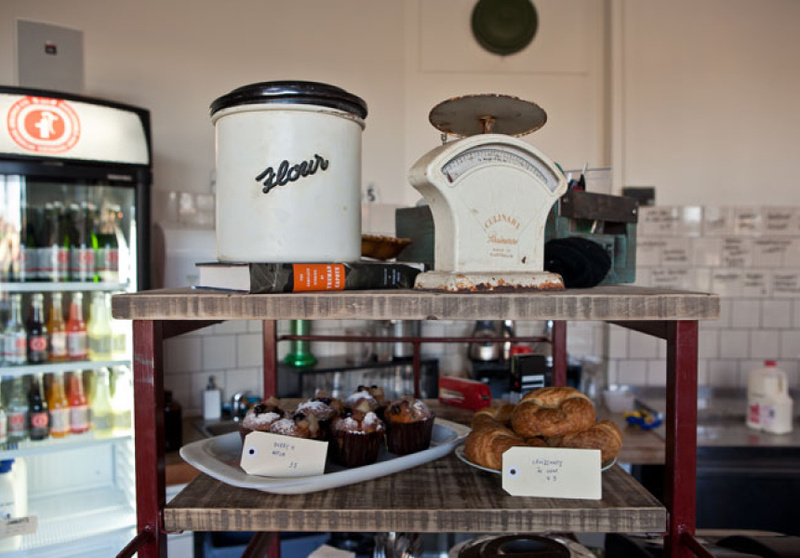 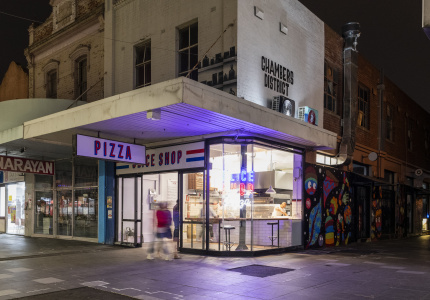 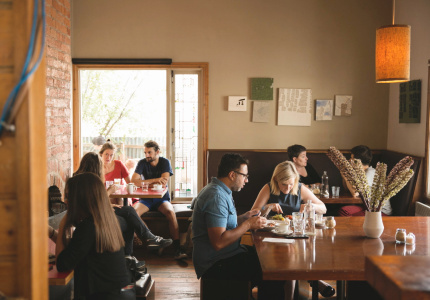 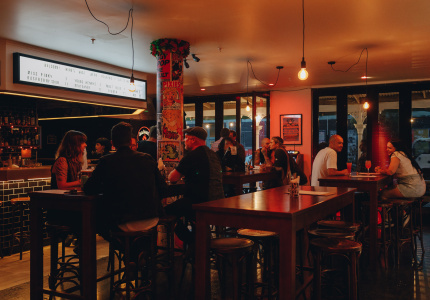 Only three weeks in and Truman cafe owner Ryan Cassidy (formerly of St Kilda’s Galleon Cafe) is already greeting customers by name and coffee of choice, creating an inviting and attentive atmosphere that doesn’t leave you feeling smothered by an overexcited barista. 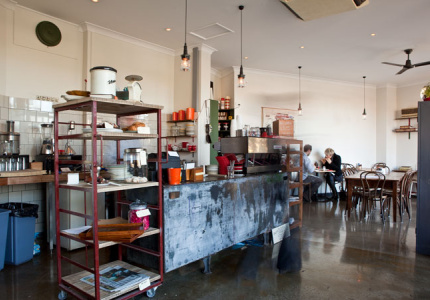 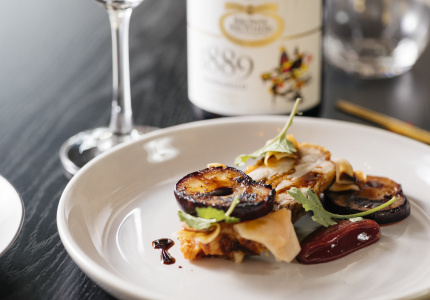 Co-owned by Mark Wright, also of Galleon fame, the space is littered with industrial and retro finds, mismatched crockery and cutlery and other such ornamental charm. 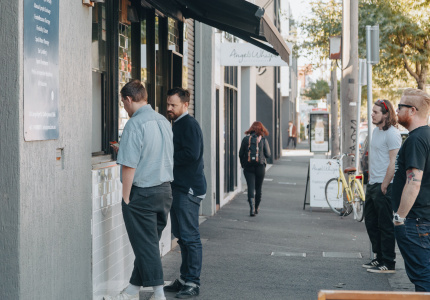 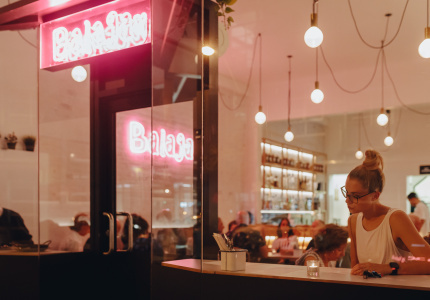 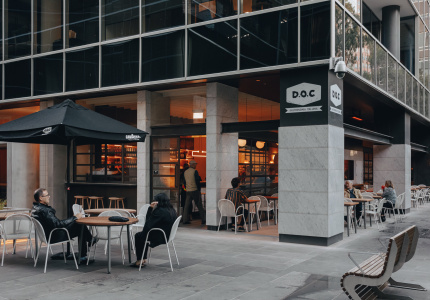 Operating with the purpose to provide a family-friendly environment for customers, the space boasts complimentary high chairs and more than enough space to wield a stroller, with a pram bay soon to be constructed out front near the outdoor dining area. 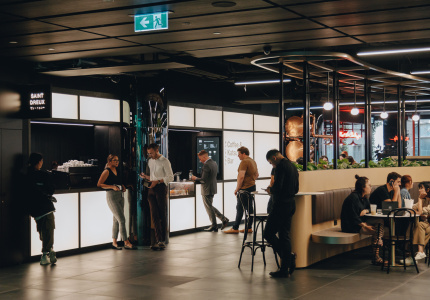 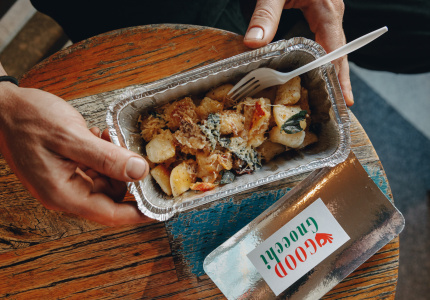 Featuring Dibella coffee (Felici blend) and delicious house blend hot chocolate, the café offers a variety of breakfast options as well as a lunchtime menu of soups and sandwiches, which is currently being fine-tuned. Meals are prepared with aplomb by ex-Las Chicas and A Minor Place chef Catherine Dando, and include much-loved favourites ‘The Truman’ featuring scrambled eggs, potato & leek hash served with avocado and Dulcie’s relish, and ‘Connie’s Eggs’, made with poached eggs in Napoli sauce with chorizo and spinach on toasted baguette.